It was an honor to present the Andover Alumni Award of Distinction to David G. Nathan '47, Capt. 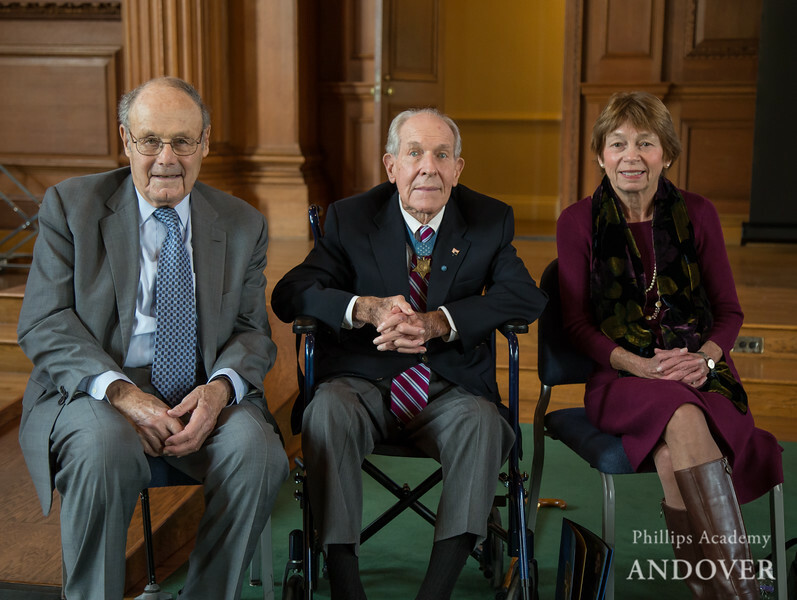 Thomas J. Hudner, Jr. '43, Constance Laurence Brinckerhoff '59 and Soiya Gecaga '92 at All-School Meeting on November 2, 2016. Gecaga (not pictured) accepted her award from Nairobi, Kenya via video in Cochran Chapel. Earlier in the morning Nathan and Brickerhoff attended a Cellular Biology class to meet with students, share their stories and answer questions from students.